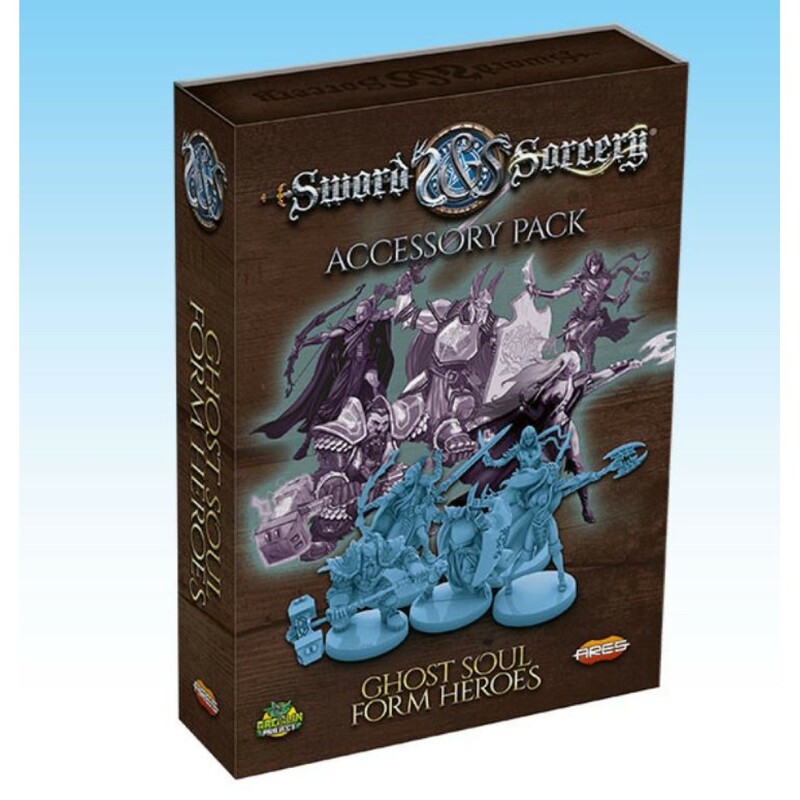 The set of five finely sculpted miniatures included in this pack allows you to replace the figures of the five heroes included in Sword & Sorcery® Immortal Souls. When a hero dies during a Quest, you can now replace his or her figure with the Ghost Soul version included here, to immediately visualize which characters are in Ghost Soul form. If you like to paint your figures, these miniatures can also be used as an extra figure set, to create an alternate version of each character, matching his or her soul nature. Also included in this pack is a set of ten double–sided Background Talent cards, optionally providing additional talents to your heroes. These cards add a new dimension to customize your characters, based on the experiences they had before their adventuring life.